Is Your Snowmobile Tow Vehicle Ready? 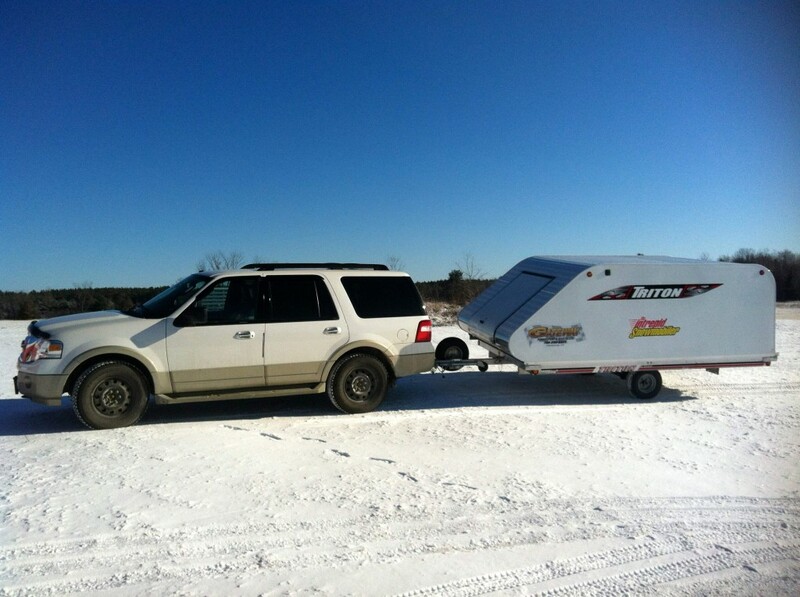 Here are some of my snowmobile tow vehicle best tips for trailering on snowmobile tours and snowmobile vacations from one of my Snowmobiler Television videos. A survey says that 87% of snowmobilers have trailers or pick ups to haul their snow machines. So we’re highly mobile, committed to travelling to the snow and to various destinations. But winter driving and road conditions can be challenging and unpredictable. So for safety’s sake, be prepared and careful when transporting your snowmobiles. It’s important to have a properly equipped tow vehicle capable of hauling the combined load of your trailer, sleds, passengers and gear. It’s equally important to know how everything works for safe and proper towing. And to double check and visually inspect the condition of your tow vehicle, trailer and connections before every trip. Tip: hand check that your rim nuts are tight before leaving so you don’t lose a tire or damage a rim en route. Before trailering, winterize your tow vehicle with a special service, including transmission, rear differential, radiator, brakes and suspension. Install snow tires plus winter wipers and washer fluid, lube all keyholes. Also check your tow package, including electrical hook up. To make winter trailering safer, your tow vehicle should have snow tires. Big assets are 4-wheel drive, ABS brakes, traction control and a factory tow package. Distribute the trailer weight properly at the hitch and learn how to handle skids, sudden stops and trailer sway. Does Your Roadside Assistance Include Your Trailer? Each component plays a critical role in getting you safely to your destination without incident. This applies to everything from transmission to tow package and from winter tires to winter oil. It’s all too easy to just assume everything’s still in good shape. But that’s a sure recipe to end up scratching your head at the side of the road while waiting for a tow truck. And here’s another tip: be sure that your roadside assistance program includes towing both your vehicle and trailer to a repair shop. Otherwise, you’ll have to abandon your trailer and sleds on the shoulder or pay lots extra to get them hauled along with you! Check out more riding tips!